Living with broken or half-functioning appliances is a major hassle. Appliances are what allow our households to function—from having a refrigerator that keeps food fresh to having a dryer that actually makes clothes warm and dry. Mr. Appliance recognizes the hassle of living with broken appliances, and we provide a service that is professional, dependable, and guaranteed to have your appliances working! What sets our service apart? For one thing, our main priority is not just getting the job done—it’s making sure our service blows our customers away. From the way we answer your call to the way we leave your home neat and clean, Mr. Appliance in Woodbury treats you and your home with courtesy and respect, doing everything with genuine passion for making sure you’re happy with our workmanship. One of Mr. Appliance’s hallmarks is that our parts and workmanship are 100% guaranteed for up to 1 year. That means you don’t get amateurish repairs that only last for a few weeks. 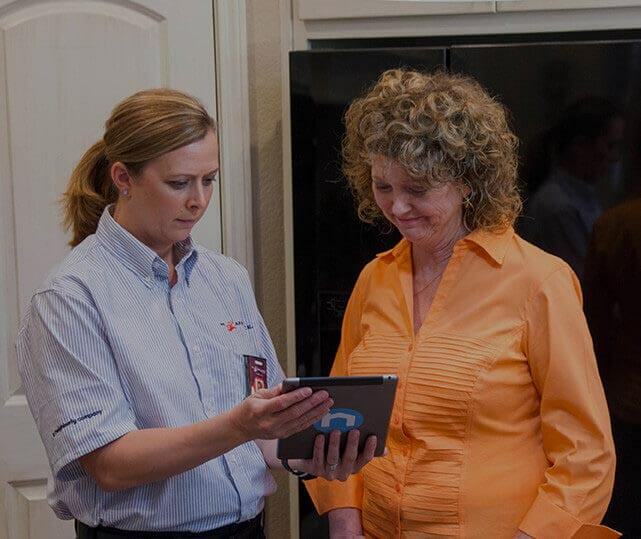 Our technicians are highly-trained in handling appliances from all major brands, and our goal is to provide you with the best appliance repair in the industry. Our workmanship keeps your appliances running for a long, long time. Charging by the job means our quality workmanship comes at a flat-rate price, with no surprise fees. No matter how long it takes, fixing your dishwasher, garbage disposal, or washing machine will cost exactly what we quote you—not a cent more. With quality work at an upfront price, there’s no reason not to schedule service today. Call Mr. Appliance of Woodbury at (651) 504-0324.